. @Shotti48 Gets The Block Jumping With “Trendsetta”! While many say they run the town, and others claim the title of “Boss“, Rapper Imije lets the world know hehis name rings bells his video for “Trendsetta“. Shot and directed by Bussweh Visuals, Imije checks in with his Red Block crew to prepare for the takeover. With lyrics that aim to command attention, Imije has been on the grind over the years, and is on a mission to make his mark in various spots around the world. If you’re loving the track, “Trendsetta” will be available on all digital streaming platforms on September 14. For now, check out the video below, and show us some love on Instagram at @13thStreetPromo. Dropping a new visual today is Jamaican Hip Hop Artist, Imije. Titled “Rankins” and directed by Kemstyle Studios and featuring T.M.O., the two Rappers kicked the flow up a notch and drop commanding lyrics over a hard hitting Mordecai Beats production that was blessed with a Shabba Ranks “Respect” sample. Respect the Red Block hustle. Off Imije’s “Immortals EP” (available here), check out the video below and share your thoughts in the comments section. Do you disdain Jamaica? How do you feel about Hip-Hop generally? I’d cleverly advise you to close your browser if you come across this page not willing to #PayAttention. 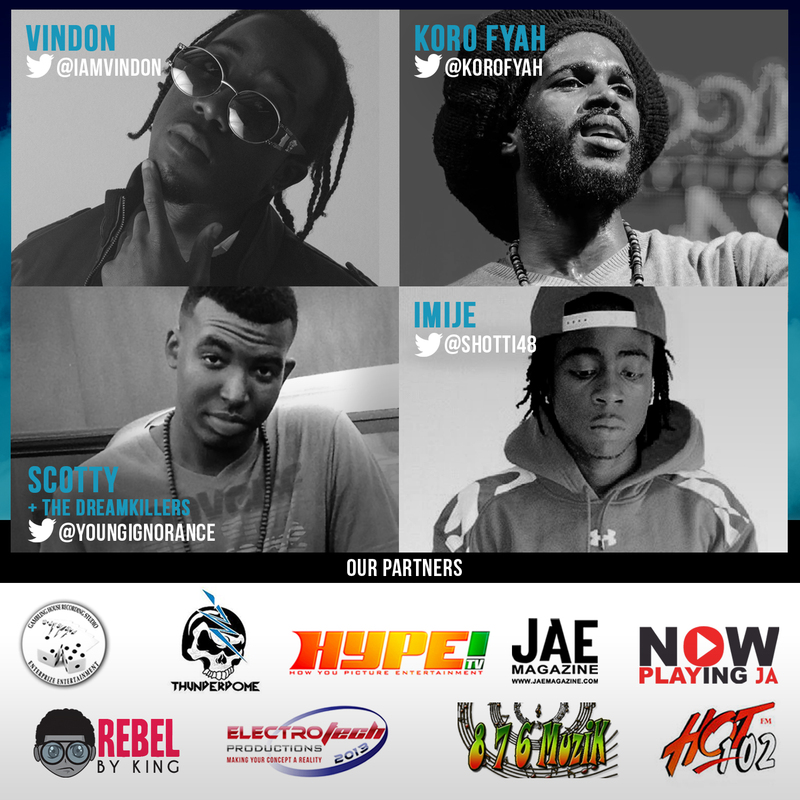 Eutopia is the place to be March 28th & even though the event is Kingston-based, i’m about to prove that some of the island’s most talented rappers do not solely only originate from the nation’s capital. VinDon of BluRok is present. A: Respect! No doubt, it’s what I do. Bonus: I caught wind that you’re the son of Ninja Man, can you confirm this? Kingston, Jamaica’s premier Hip Hop party and artiste showcase series, Pay Attention, is set to take things up a notch with its next staging on Saturday, March 28, at its new venue – Eutopia, above Burger King, on Knutsford Boulevard in New Kingston. Among the improvements noted by TSD are increased space, more reasonably priced drinks and a dedicated smokers’ deck. As per usual, recorded music will be played by Inztinkz and Deadline Sound, while the featured performers are Koro Fyah, Vindon, Imije and Scotty & The Dreamkillers. Admission is $1,000 at the gate, while presold tickets are $600. Ladies will be granted 2-for-1 entry until showtime at 10:30 p.m and gates open at 9 p.m.
For more details, follow @PayAttentionJA on Twitter or ‘like’ the event’s Facebook fan page at http://www.facebook.com/PayAttentionJA. Playing on the word KA$HFLW, aside from the cliché, it directly creates a call to action for Kash Kapri who actually leaves room for Imije to have his own distinct flow on the track. It’s quite obvious that the artistes never really parted ways because they complement each other well (hook). Personally, I believe the bass on the track could be tweaked in addition to having the sonics turned up for my preference (I’d add it to my vehicle turn up playlist at that point lol). Gaz beats did a good job producing/mixing, my question is was there mastering done and if so, who did it? There is a level of evolution to be seen here overall. The track cover is dope; if nothing about your music is good, the one thing that can be used to speak otherwise is PROPER PACKAGING. Flow on point, lyrics on point. 876 Hip-Hop never disappoints.